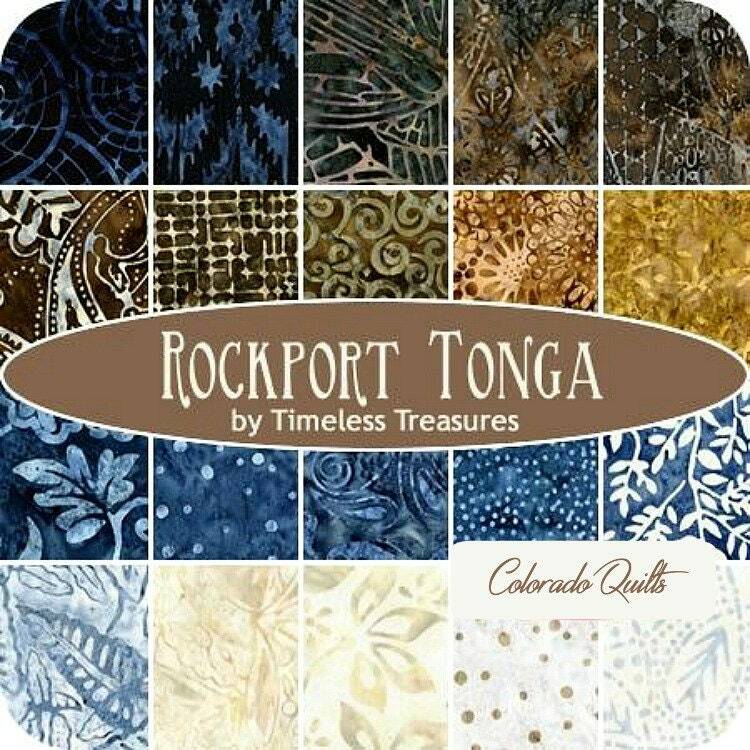 Designed for Timeless Treasures famous Tonga batiks, this gorgeous set of 2-1/2 inch strips includes 40 pieces of pieces from the "Rockport" collection. Colors include shades of blue, brown and cream. It also includes a free quilt pattern! This assortment comes flat-folded as pictured above. 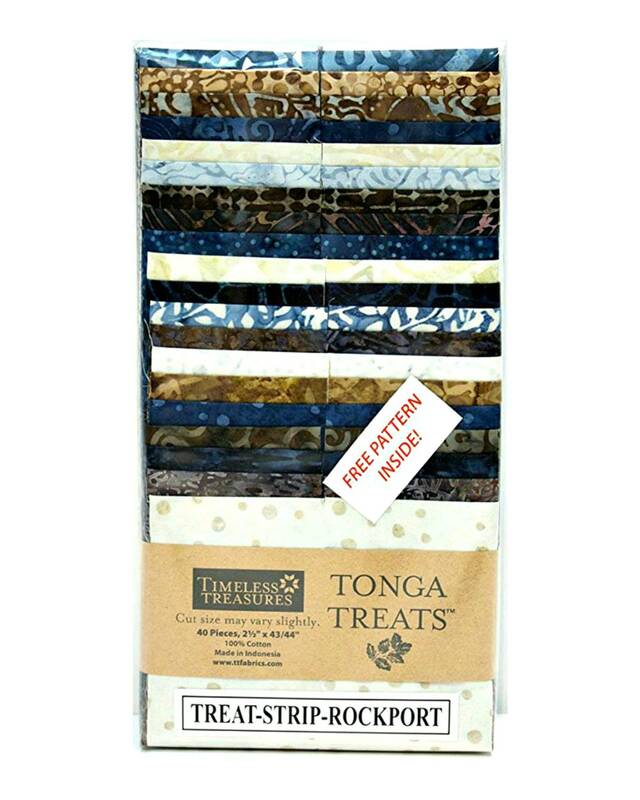 Fabric is all new 100% premium batik cotton and is cut and packaged by Timeless Treasuers. We ship all our packages based on weight. Up to 1 lb ships USPS First Class. Everything over 1 lb ships USPS Priority Mail. Jelly Rolls weigh over 1 lb. **Please see our shipping policies for information on excess shipping refunds and expected delivery time.